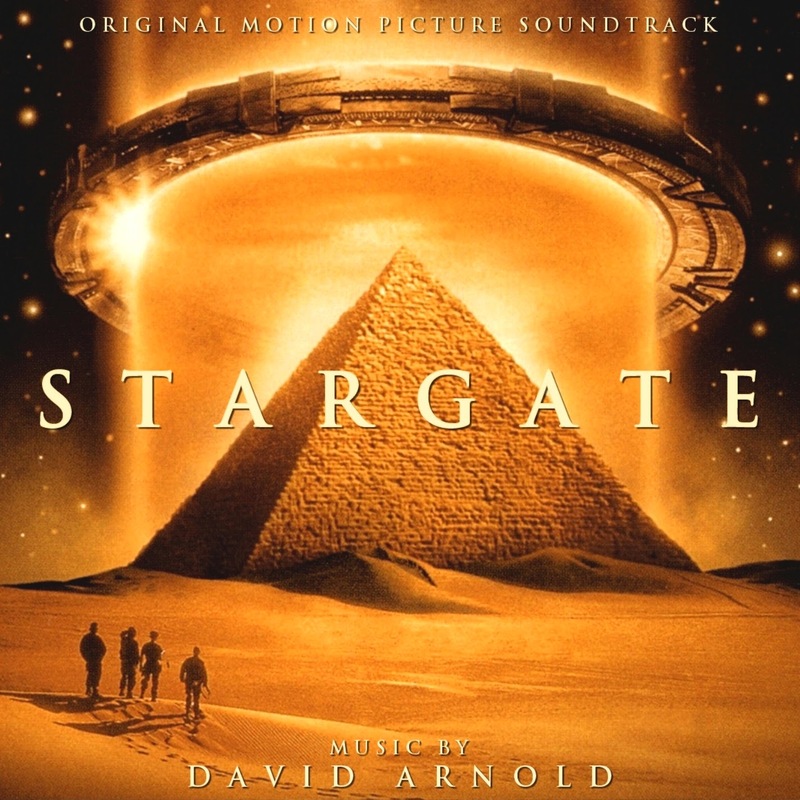 Renovatio Records presents Stargate, composed by the great David Arnold. This film (released in 1994) was the second motion picture Arnold scored and the first major blockbuster, and led to the collaboration of Arnold with producer Dean Devlin and director Roland Emmerich for two more large scale films, Independence Day and Godzilla. 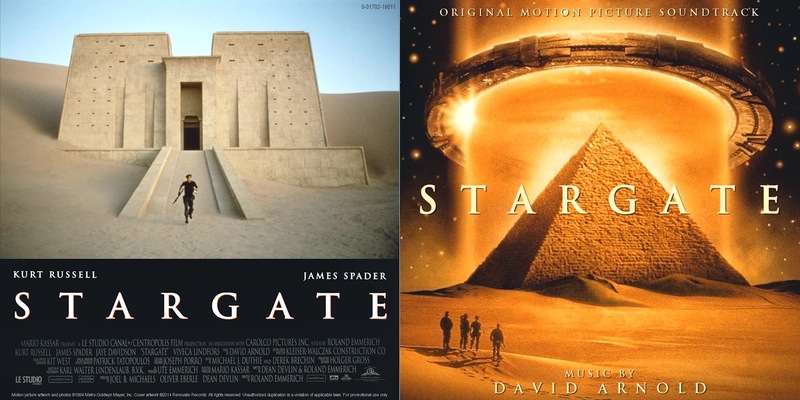 Stargate is a science fiction that merges Egpytian mythological settings and a modern interstellar travel concept. Starring Kurt Russell and James Spader, the film became an instant hit and a cult classic that inspired future productions and TV series, despite initial critics opinions. When Arnold received the project, he was working at a video store in London. Composing in a secluded hotel room, doing rewrites and improving the music, Arnold provided a score that returned to the classical roots of Hollywood music. 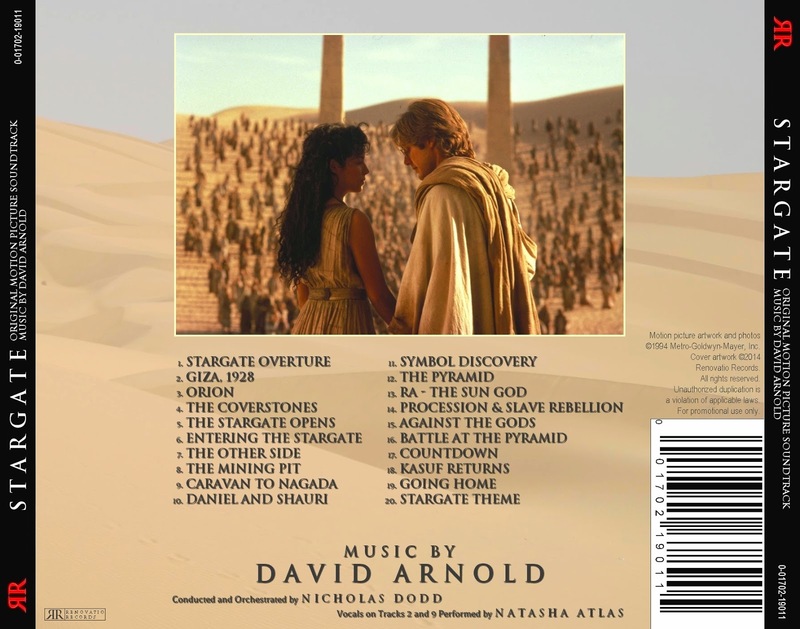 Performed by the Sinfonia of London, the score for Stargate is full of themes, motifs and memorable moments, with strong brass passages, choruses for the fantasy element and a complex orchestration (courtesy of Nicholas Dodd, Arnold's regular collaborator) that involves local instrumentation and vocal work for the Egyptian mood. Besides being a standout score in Arnold's career, the music foreshadowed things to come from the composer. His main theme for this film is so remarkable that it has become a signature of the entire franchise and his action music (prominent in the final half) will surely rock you floor! The soundtrack was released in 1994 by Milan Records and received a Deluxe treatment by Varèse Sarabande in 2006, with new unreleased material. The problem with both lengthy releases is that the tracks are so short that makes the listening experience rather unbalanced, changing its style and mood from one minute to the next. Renovatio Records has managed to compile a soundtrack that it's fairly organized and that provides the best moments of the score, providing a fluent listening experience that manages to tell a musical story on its own. We hope you enjoy it! 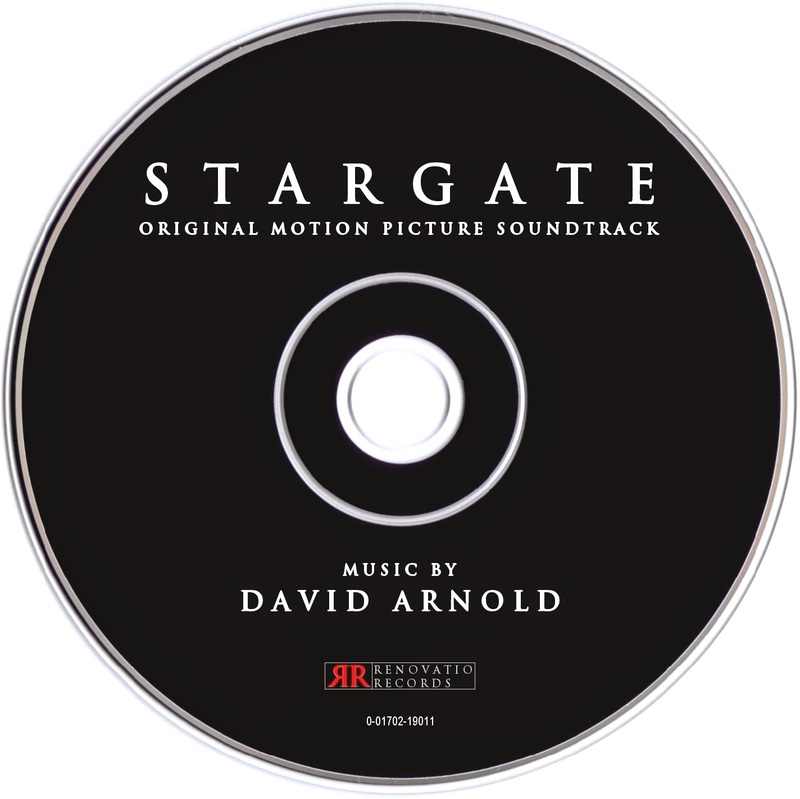 Please note that this release is also the first of the three planned releases for the scores produced by the Emmerich/Devlin/Arnold collaboration. So stick around for more Arnold in the future!